Sour Diesel is a great production strain for the cash-cropper, giving indoor growers up to 550 g/m2 yield and outdoor growing up to muliple pound beasters. There’s a reason the Sour Diesel strain is so renowned and popular. Sour Diesel’s sativa dominant light-green stinky buds look great, smell nice and are high in THC ( ~20% THC). 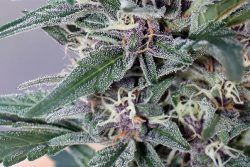 Here’s our top 5 favorite Sour Diesel strains available in Feminized, Regular and Autoflowering seeds. 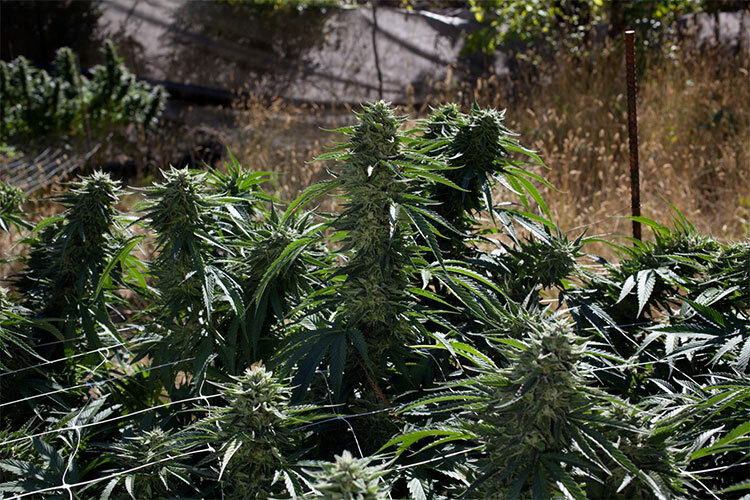 Sour Diesel cannabis plants are cash-cropping machines when tuned right. This sativa dominant plant completes it’s flowering cycle in roughly 9-10 weeks. 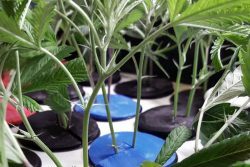 A good long vegetative cycle is great for Sour Diesel plants. The plants will by getting big during flowering cycle. 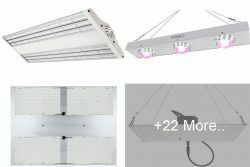 Be sure to provide plenty of high-intensity light or full sun. Keep Sour Diesel plants in an aerated mix loaded with plenty of nutes and don’t harvest early. 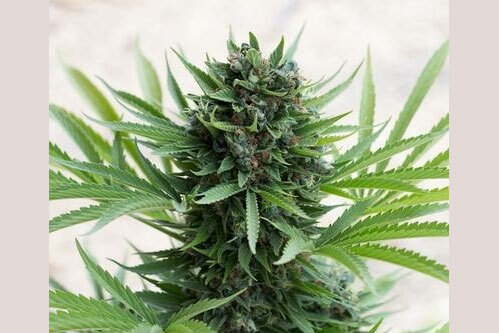 Sour Diesel seeds can be sprouted and grown either indoors or outdoors. This is a resilient enough plant to handle most climates. 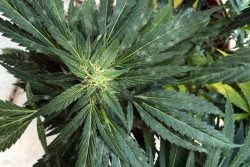 The sativa dominant genetics of Sour Diesel add resilience against grey bud mold (botrytis cinerea) although be sure to take extra care and precautions during late flowering to ensure a healthy mold-free harvest. 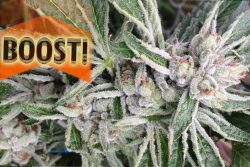 Indoors make sure to feed Sour D heavy and keep the grow-room sterile, as Sour Diesel may be prone to powdery mildew (PM). It’s better to stay protected and sterile from the very beginning then to have a problem that’s hard to remove. 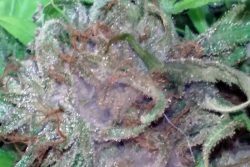 Organic ways to cure powdery mildew: 6 Ways to Cure Powdery Mildew on Cannabis Organically. 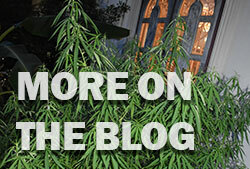 Outdoor growers start Sour Diesel plants relatively early in the season. This is as early as March in the northern hemisphere. 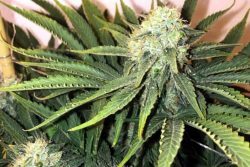 Sour Diesel plants can get big with additional lighting as well, whether you’ve got a grow light over them or are bringing potted plants inside after sundown. Sour Diesel has the genetic potential to turn huge if that’s what you desire. 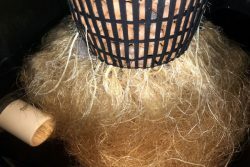 Provided with the right amount of light and fair conditions/nutrient availability, Sour Diesel plants may aggressively morph into a beastly, multi-pound bush. A reliable variety for ‘tree farmers’. Yield: this strain will produce 450 to 550 grams per square meter. SCROG and SOG methods work well for maximizing harvest and watch out for the sativa genetics that may stretch her out during flowering. 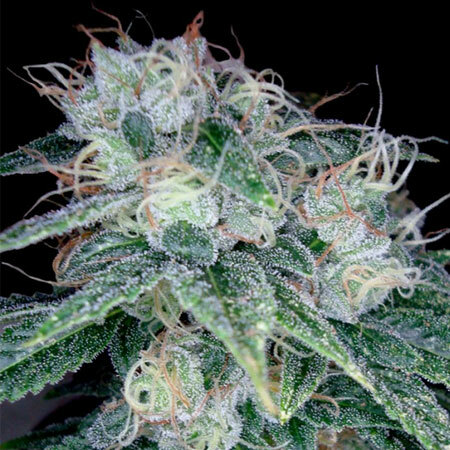 Frosty buds: Sour Diesel buds get seriously frosty with some good strong lighting. If you like a strain that you don’t have to trim much (sugar leaf) then this strain is for you. Flavor: Sour Diesel tastes amazing – fruity sweet flavors combined with a potent effect leaves stoners impressed. 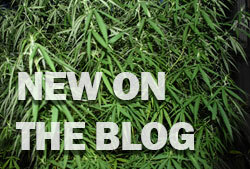 The 9-to-10 week flowering time may turn some people off growing Sour Diesel. 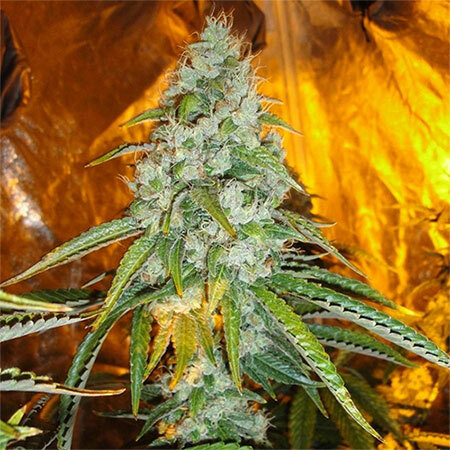 While the wait may seem longer than other popular commercial varieties of marijuana, you can be assured that she is worth the wait, rewarding growers with brilliant shining Sour Diesel nugs. 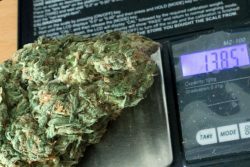 The potency of Sour Diesel may be too strong for rookie smokers. Being tested at over 20% THC, this sativa variety will get you high. Mostly a heady sativa experience, but also bringing a taste of hard indica ‘kick-to-the-face’ garnished on top. Sour Diesel’s exact lineage is a hazy history with many conflicting stories supporting it. 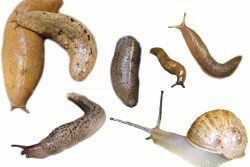 An interesting article about this can be read here. So this is the story of some real bros living life. This was back before being a bro was cool. We had some airsoft guns and some beer, so just chillin’ one day. In came Fudge. This dude is wild. What else would he have with him other than a box full of the dank chronic? Take a look at what’s in there and damn that pine freshness hit me hard. These buds are bright green, tight and so fresh with sparkles. Nobody had this dank ’round here yet. Yeah we rolled up that chronic. Straight talkin’ A-grade madness weed, that’s for sure. Now what you gonna do eyes so red? Got you all thinking on the next-level. That’s some Sour D.
This weed smells like fresh lemons and skunk or diesel. If you’ve never smelled ‘good weed’ before, you need to get that Sour Diesel. Super stinky, smell-though-your-bag down the block weed. Gets some people too high. Sativa is not for amateur smokers. Sour D will send you. Sour D is some high-quality A-grade cannabis that will catch you in a gaze. Medusa has nothing on this cripitty-chronic. The resin is clear and the herb shines like no other. Anybody that comes by wants it all. Break that bud up and that clear resin gets oily on your fingers. The resin is not so sticky as it is oily and sharp with crystals. Burns nice because it isn’t super dense like an indica strain. Try dry-hitting the doobie before you smoke it and it’s like a candy inhaler. When you taste this bud, it hits tasty and clean. You’ll get an sweet-dank aftertaste that sticks with you for a few minutes. Make sure you have the real-deal top-quality Sour Diesel cannabis, there is a lot of fake Sour D going around, posers. Get the true Sour Diesel sativa high, and you’re gonna feel her rise up your head space. Colors and energy. That’s because Sour Diesel is a sativa-dom strain, really psychedelic and energetic. Sativa-doms burn well in joints and are the ‘preferred favorite’ of the daily functioning herb smoker. 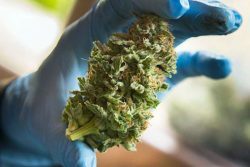 When it comes time for yield to be the top objective of your marijuana grow operation (which can be done legally nowadays in many areas worldwide), what do you look for in a cannabis strain? 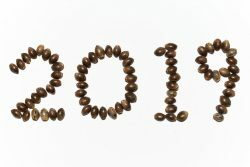 Sure you can go the straight heavy-yield route, or you can opt for varieties with intriguing colors and exotic flavors. But what really multiplies your yields’ worth is the quality of the cannabis. Properly finished all the way to the end of it’s cycle, Sour Diesel ranks in as top-of-the-line marijuana. People recognize the well-known name, and it has a reputation of excellence. This is why Sour Diesel can be defined as an ideal cash crop strain. Disclaimer: We do not promote or undertake in illegal activities. 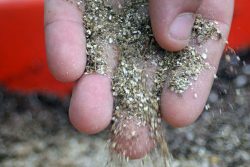 Read your federal and state/county laws before buying seeds online. Im in constant pain in my feet and knees. Ive had lots of surgery on my feet and knees. But the pain has stayed. The autoflowering version of this strain has been amazing. 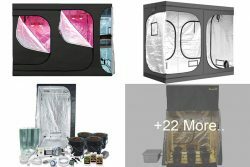 I’m a first-time grower who’s spending the absolute minimum amount of $$$ on my grow. My plant is in a Solo cup under 84 watts of CFL & only being fed homemade nutrient teas. I almost killed her with one of the teas–all her leaves went yellow & most fell off in about 4 days’ time. But the buds have remained healthy & flourished. This strain is GREAT for beginners. It was pretty touchy during veg but the hard work has paid off in flowering. The buds are now covered in trichomes & long healthy pistils. Oh, and the smell isn’t very strong unless you touch the buds, making it a great choice for stealthy grows. (But maybe mine just doesn’t smell much because it’s a tiny single plant).